This is an upper division program in the humanities and performing arts, with a focus on Irish history, expressive traditions, Irish-Gaelic language, and culture. At the beginning of the program students receive a basic introduction to Ireland and to issues of liminality, historiography, and distinctions between linear and cyclic thought. Students then spend several weeks on the culture of ancient Ireland, focusing on indigenous local culture, bardic traditions, and gender issues. The second major segment deals with the development of Christianity and the English conquest of traditional Ireland, including a week on the Famine and subsequent evictions and political unrest. The final three weeks of fall quarter are about the National Irish Literary Revival and the urbanized political chaos of turn-of-the-century Dublin. Winter quarter begins with post-colonial Ireland and continues with a month of studies on Irish America. An exploration of the Troubles in Northern Ireland follows, and the quarter concludes with the contemporary cultural explosion from the final decades of the 20th century into the present. In spring quarter, we travel to the village of Gleann Cholm Cille in County Donegal, Ireland. Everyone will participate in daily intensive classes in the Irish language. The classes feature work on conversational skills and the enhancement of what they will have already learned, culminating in daily use of all the irregular verbs in conversation. Students will also attend weekly seminars and classes on linguistic, political, and economic issues in the Donegal Gaeltacht (Irish-speaking district). In addition to these classes, students are expected to participate as well in a wide variety of classes led by local artists and specialists, including archaeology, bodhrán (Irish frame drum), instrumental music, weaving, poetry writing, dancing, singing, traditional spirituality, herbology, and others. We will spend two days in Northern Ireland, visiting both the contested city of Derry/Londonderry and the Giants’ Causeway, and will visit multiple archaeological sites in County Donegal. Please note that some of our work in Ireland will include traveling on very uneven ground, climbing hills, and being in places where accessibility is a challenge. Program activities will include lectures, seminars, films, readers’ theatre, Gaelic language lessons, poetry, music, reading texts, and group discussions. Two integrative papers about ancient Ireland are required in fall quarter. In winter quarter, students will write a longer integrative essay focused on the Irish in America. At the end of spring, each student will develop a significant integrative essay (20-30 pages) detailing the links between the theory of Ireland – on the page and stage – and the practice of Ireland in real life. Lastly, the students will divide into small groups to create collaborative performances for the final week of each quarter; they are the main expressive assignment beyond singing, playing musical instruments, and performing in readers’ theatre events. writing, academia, anthropology, Irish studies, and ethnomusicology. Expected spring study abroad expenses will include airfare (approximately $1300), transportation within Ireland (approximately $200, depending on the student), two weeks' room and board on their own (approximately $300, depending on the student), and $2200 in room, board, and local instructional fees in Donegal. Total: $4000. $1700 for lodging and tuition for four weeks in Gleann Cholm Cille, Donegal during spring quarter (to be assessed with registration); does not include lodging for time spent on one's own. Prospective students must submit a short (one page) essay by e-mail, explaining their reasons for wanting to become a member of the program. Being of Irish heritage does not guarantee enrollment! Because the program includes a study abroad component, it is expected that at most of the students enrolled in the program will go to Ireland in spring quarter. 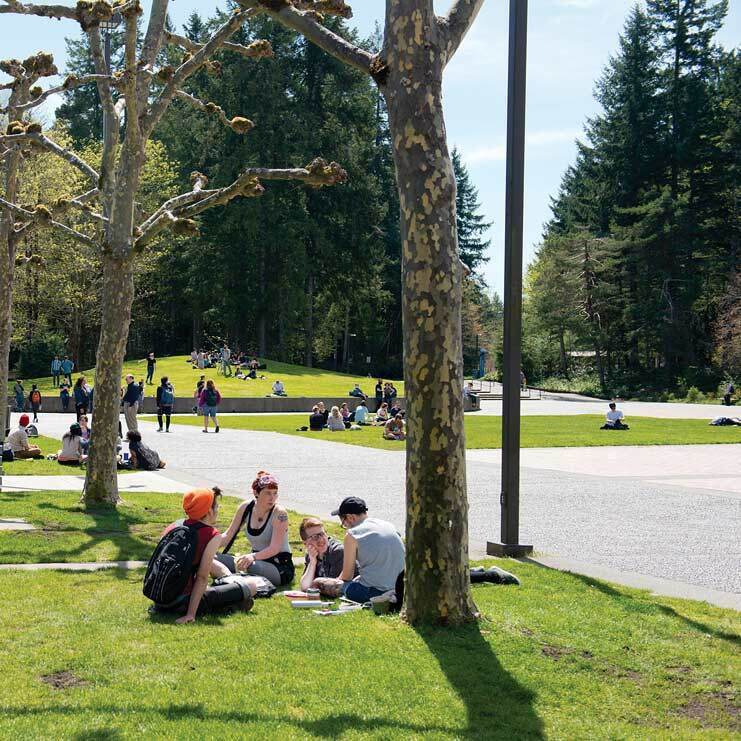 Essays must be sent by e-mail to Sean Williams (williams@evergreen.edu) before May 31st, 2019 to receive priority consideration. Students will be notified by e-mail on Monday, June 3rd (at the latest) if they have gained admission to the program. If you must enroll in a program now, enroll in your second choice to hold a place for yourself. NOTE: the purpose of the essay is twofold: to allow the faculty to assess your writing ability, and to gain an understanding of your interests so that the program can be relatively balanced among the diversity of students.